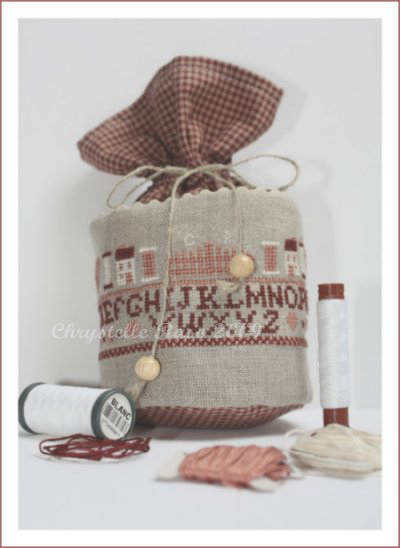 "Country Pouch" is a cross-stitch chart with instructions translated in English. It has been especially designed to match the ready-to-stitch pouch "Edwige" (see the "related products" section) but you can of course use this pattern for the work or your choice. The model on the picture has been stitched on the "Country Pouch Edwige" which is also available (see below) using two strands of cotton over two threads of fabric. Recommended Fabric: the "Country Pouch Edwige" or fabric of your choice.